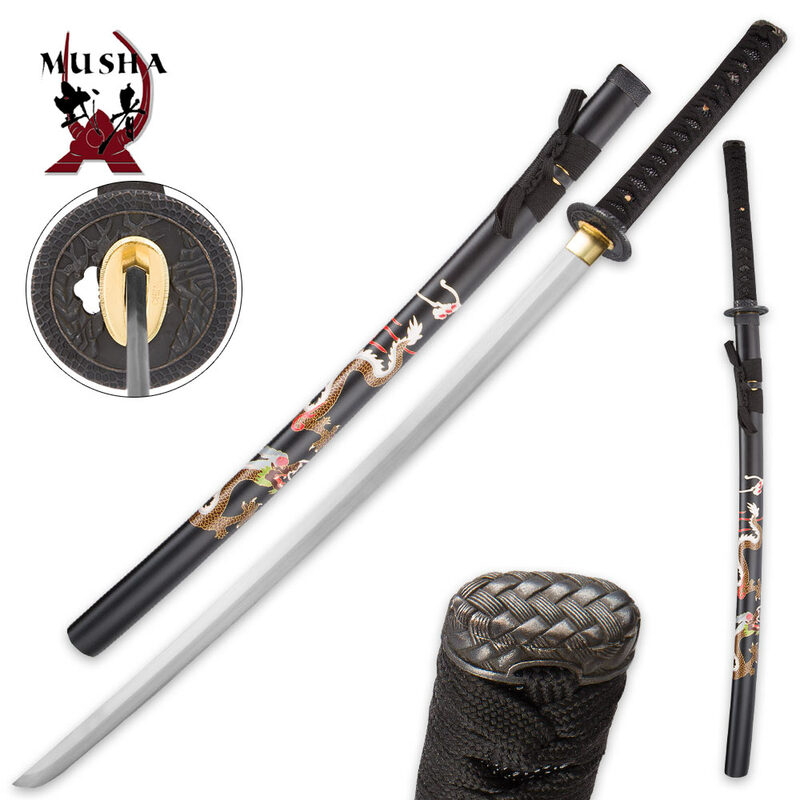 Luna King Full-Tang Samurai Sword | BUDK.com - Knives & Swords At The Lowest Prices! 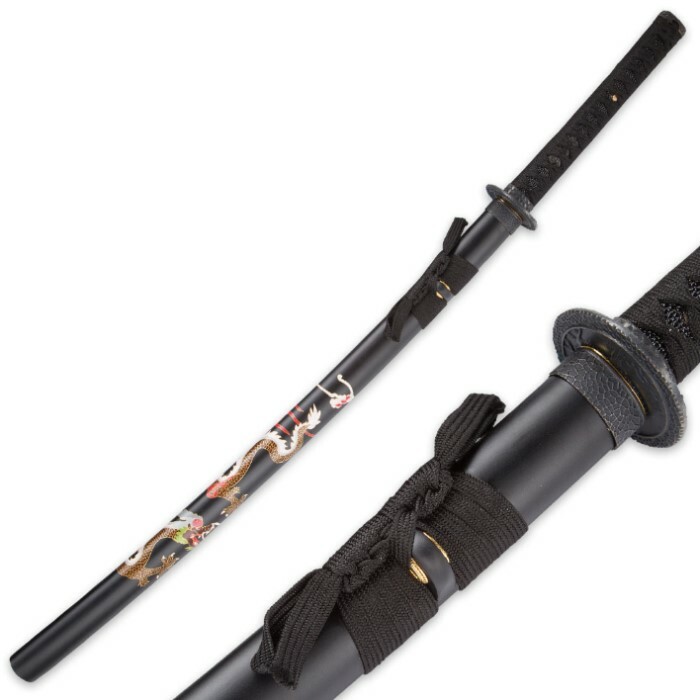 The Luna King Full-Tang Samurai Sword is regal with its 28” full-tang carbon steel blade and the beautifully designed artwork on the scabbard. It has an ornately designed tsuba and a hardwood handle with traditional black nylon cord wrap. 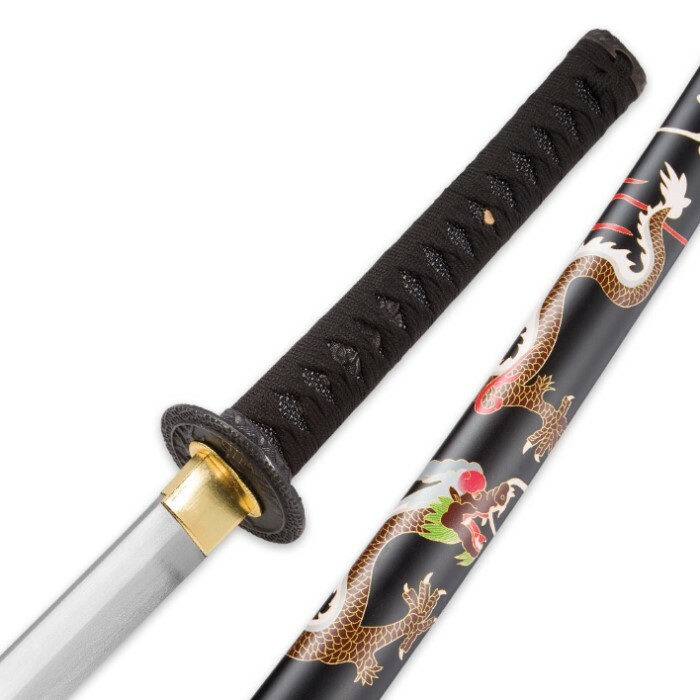 The black scabbard features a colorful dragon design that makes it a great display piece. I ordered one for Christmas, as a gift to myself. When it came i was so very excited, yet I waited until the next day to take it out if the packaging and truly get a feel for it. First use I noticed that there was a very small wobble to the blade. Even with a gentle movement. The habaki was already slightly loose out of the box. The fuchi as well was loose. Even when holding those still the blade had a slight wobble. I am assuming the tang wasn't properly set into the tsuka. All in all it is a beautiful sword and I will be returning for the Same sword(hopefully not wobbly). As I practice each and every day, i cannot wield a blade that isn't fixed into place. This is a beautiful sword! The saya is plastic but well made. The dragon is painted on. The handle is well made as well. Black on black on black, which I like. The blade is also beautiful. There is no hamon and no fuller. I like that too. Makes the blade look meaner. Like a giant knife blade. I'm less afraid to use it. Scratches will only give it character. Mine came pretty freakin' sharp too. All in all, this was a great buy. Thanks BudK!